I think this is the first time in a couple of years that I haven't posted a review for over two weeks. That was because for nearly a full week I was quite sick, and didn't have the energy, or the stomach, to write any reviews for this blog. 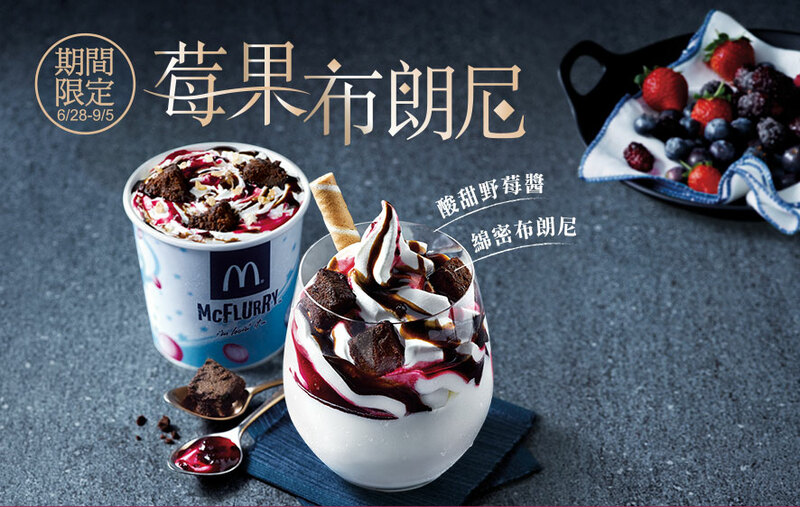 Now that I'm feeling a bit better (but still not 100%), and found a few spare minutes on a flight, I am able to show you both the 'Flavoured' McNuggets, and the Berry Brownie Sundae from McDonald's Taiwan. I made it to Taiwan a couple weeks ago now, between a trip to Hong Kong, which I reviewed the Silly, and a trip to the Philippines (reviews to come!). 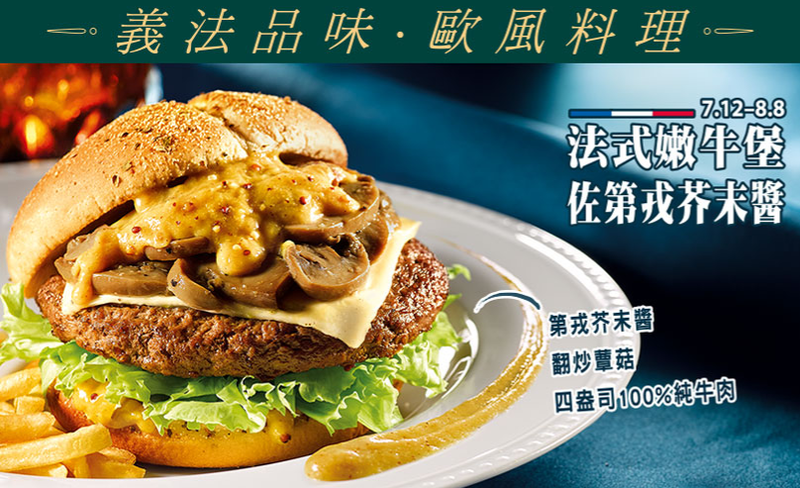 I was only in Taiwan for a day, and the promo burgers available were 2 from the European Tastes line, the first was the Alfredo Italian Chicken (奶油白醬脆雞堡), the same burger I had in the airport last year, and a new French Mushroom burger. Since I don't eat Mushrooms, I opted to try both the new sides instead. 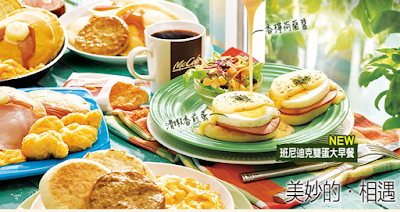 The Flavoured McNuggets weren't really being heavily promoted in branch, as the burgers dominated the marketing, both in-branch on and the website, they only had a small "add on" poster attached to the register trying to get you to add it to a meal. They also weren't mentioned anywhere on the official website, so I wasn't even able to try and Google Translate what "flavour" they were supposed to be. Since I was ordering these at the airport, and the staff taking my order could speak a bit of English I asked him, and he confidently answered "vanilla". 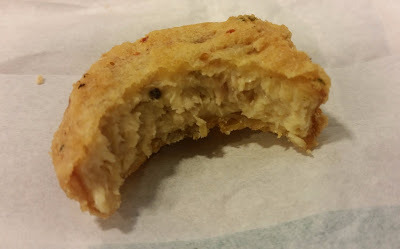 I've had Spicy Nuggets before, and those made sense, and I thought with the specks of colour inside, that it might herb or something like that, but Vanilla was certainly not a what I expected at all. I double checked and asked "Vanilla?" and he said "Yes, Italian Vanilla"...So I took these to my seat ready to find out what Vanilla Nuggets could ever be like. 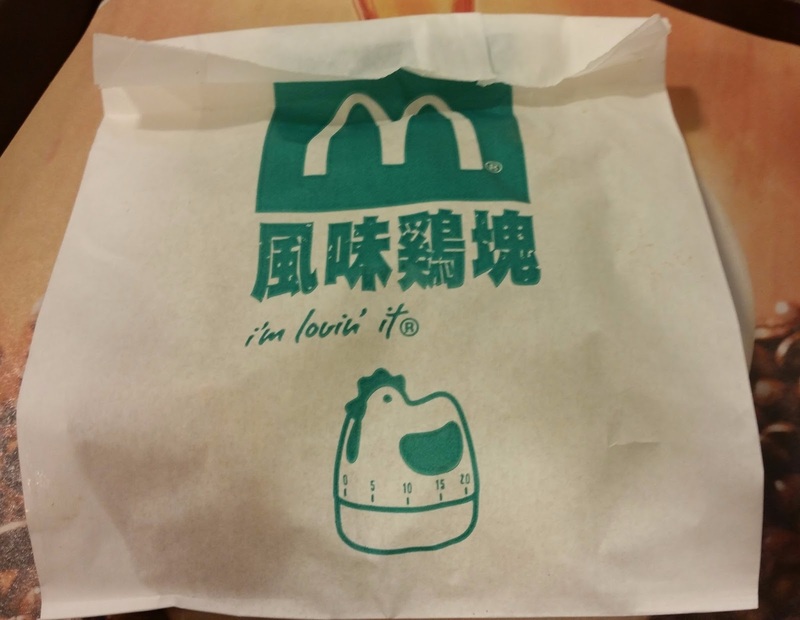 I cracked open the white paper bag they were served in excited to see if I could spot any differences, and lo and behold, these were visibility a different colour to standard McNuggets even without taking a bite. 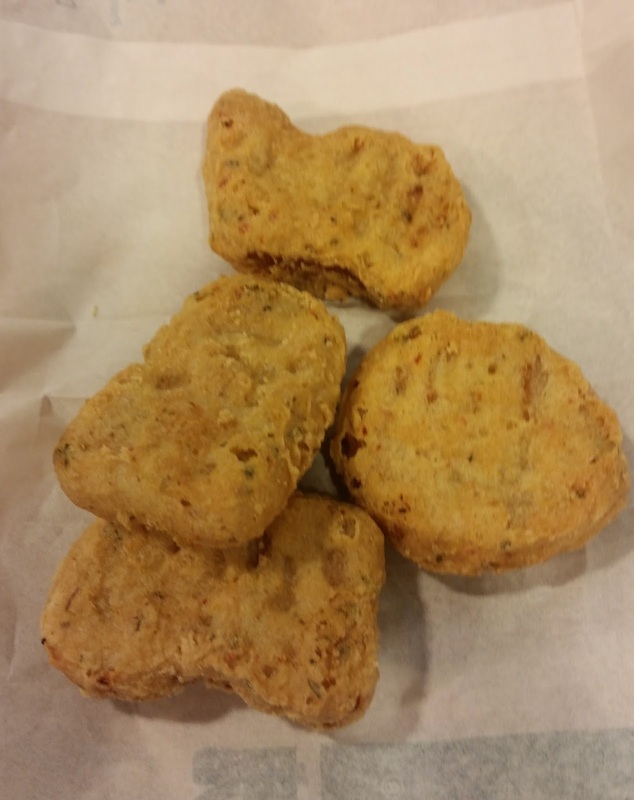 Sure, they were the standard shapes, but had a darker, almost greyish-green hue to them which make them stand out from a non-flavoured nugget. They also looked a bit wrinklier compared to the normal ones as well, but that might just be because my serving ended up being stone cold. 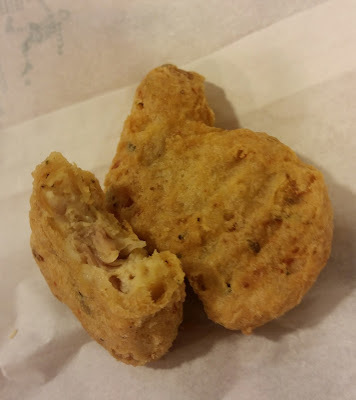 I wasn't sick at the time, so my tastebuds were fully functional, and these had no distinguishable vanilla, nor any other flavour for that matter, they tasted exactly like 100% standard Chicken McNuggets, which was a pretty big disappointment. 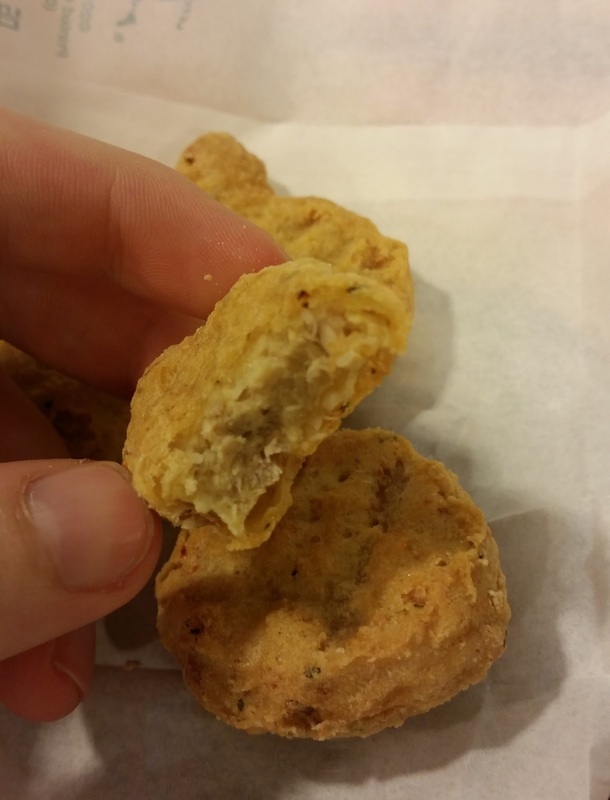 Since they weren't even fresh, I finished about a nugget and a half before tossing the rest. I was hoping since the Steamed Veggie Nuggets surprised me a few years ago, that these would have at least been better than they were. The Berry Brownie Sundae was being marketed as a "British" dessert keeping in line with the other "French" and "Italian" burgers. 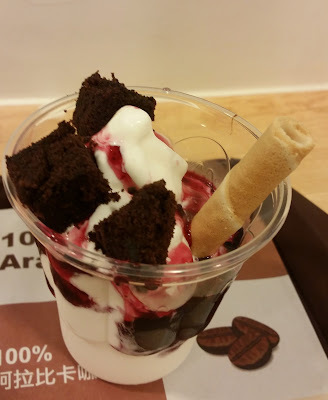 Although I usually go for McFlurries when given the option, the sundae just seemed generally prettier, since the brownie chunks could keep their shape on top, and a Pirouline-style biscuit stuck in there for good measure. The Berry-blend, ended up tasting like Raspberry jam, rather than a multi-fruit blend. The brownies on top, were decent thick and chocolaty, but they were still had a more cake-like consistency than a brownie. The biscuit stick inside certainly wasn't high quality either, as it was purely a sugar cookie, and expected semi-cream filling you might expect to find in a Pirouline just wasn't there. 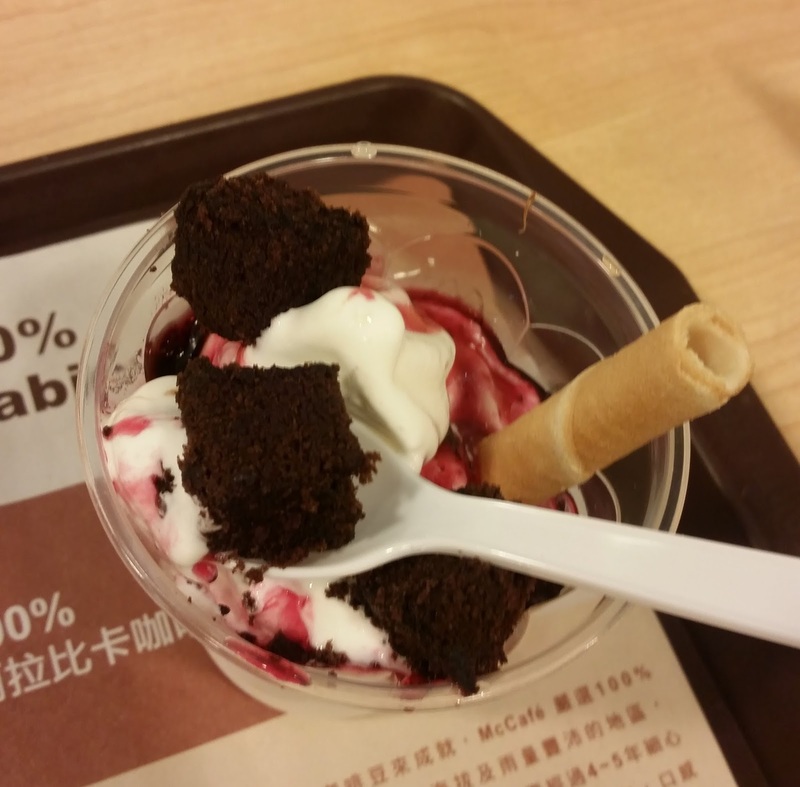 I had put in a good 8 hours of walking before eating this, so I ate the brownies, and as much of the soft serve that I could get that didn't have much of the syrup on it, but I left more than half the bucuit together with the nuggets. I haven't been in Taiwan during breakfast hours in over a year, so the new Eggs Benedict breakfast has still eluded me. On my latest trip to Singapore, the popular Nasi Lemak Burger finished it's run early due to being so popular, so it was replaced with the rather boring Black Pepper Mayo Chicken and BBQ Beef Burger. Neither were that exciting, and since I was feverish my entire time in Singapore, I easily gave them a pass. Too bad about the nuggets! Vanilla chicken nuggets sound so interesting. 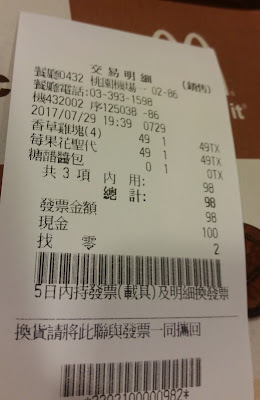 I wondered if it was possible that the staff mistakenly confused vanilla with some other flavor or even a herb, but your receipt actually does say "vanilla nuggets"! i love MC this is the best like the McFlurry i my favorite every time i pass nearby i can't stop myself to get in there and have my favorite McFlurry.